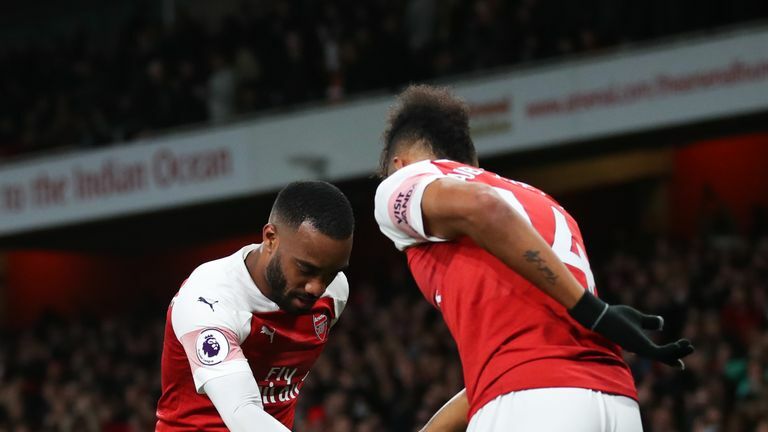 There were plenty of positives for Arsenal in their 2-0 win over Newcastle on Monday Night Football. There was the result itself, which put them third in the Premier League for the first time this season. There was the continued defensive improvement which clinched a second consecutive clean sheet. And there were the superbly taken goals from Aaron Ramsey and Alexandre Lacazette. On top of all that, though, there was also another encouraging performance from the resurgent Mesut Ozil. The German made headlines for the wrong reasons earlier this season, losing his place in the Arsenal team as he struggled to win over Unai Emery, but the picture looks very different now. Ozil has started three of the last four Premier League games compared to one of the previous eight, and it is not difficult to see why he is back in favour. Against Newcastle, he followed up his impressive displays against Bournemouth and Manchester United before the international break with more of the same. He could be seen drifting into pockets of space right from the start, and with the freedom to move across the pitch, he proved elusive to his black-and-white shirted markers. His performance was full of clever feints and touches, with one particularly eye-catching exchange with Alex Iwobi almost ending in a goal shortly before half-time. There were more bright moments after the break, including a perfect through ball to send Pierre-Emerick Aubameyang in on goal. His team-mate's shot was saved by Martin Dubravka, denying Ozil an assist, but the statistics underlined his influence. Ozil ranked top for chances created (two) and also made the most final third passes (30) and crosses (five). Most impressive, though, was how he performed without the ball. 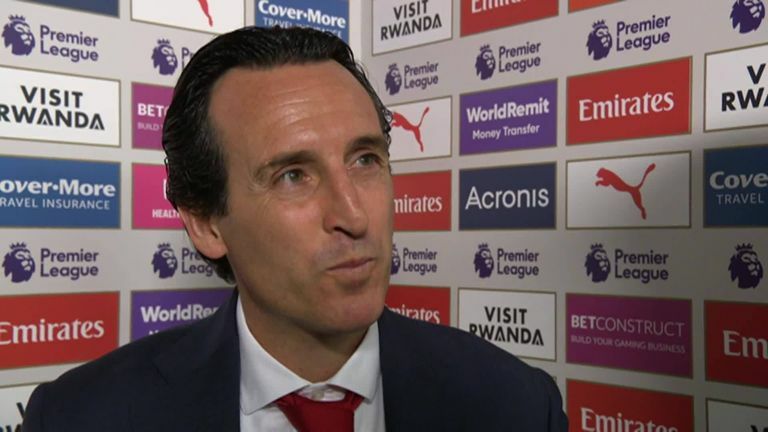 Emery's reservations about Ozil have centred on what he perceives to be a lack of defensive effort and tactical discipline. In an exclusive interview in Sky Sports in January, he explained how he was using "friction" to get more out of the 30-year-old. Now, three months on, it seems the approach is finally bearing fruit. "He has been all over the park tonight," said Sky Sports pundit Alan Smith as he named Ozil man-of-the-match. Indeed, his work-rate had certainly been impressive. Despite being withdrawn with six minutes still to play, he finished behind only Matteo Guendouzi and Ainsley Maitland-Niles for distance covered by Arsenal players on 9.9km. Ozil will never be the blood-and-thunder type who throws himself into tackles, but he was effective in regaining possession against Newcastle, too. According to Opta, he made 11 ball recoveries - the second-most of anyone on the pitch and his highest total in any Premier League game in the last two seasons. At one point in the second half, he even showed impressive strength to hold off Mo Diame in his own half, shielding the ball under heavy pressure and finding a pass to ease the pressure on Arsenal's defence. It's exactly the kind of hard work Emery has been demanding of him. 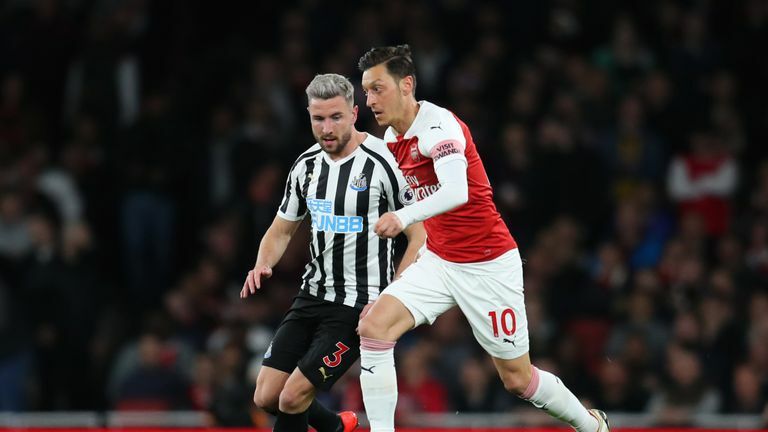 The "tension" between the pair appeared close to breaking point at times earlier this season, but Ozil was greeted with a warm handshake on his substitution and the supporters in the stands sounded their appreciation too. The German could have a key role to play in the run-in. "With his commitment and his quality, when he can find the best performance for the team, Mesut is playing like we want with the system and with how he is thinking tactically. He is working a lot and he is giving us his quality." "Of course my work is to give everything on the pitch like today. I just want to help my team-mates to win the game. I thought we played very well as a team - not just me." "As a centre-forward, you've got to want to play with him because his creativity is massive in a football match. If Arsenal can get him on the ball, they will always create chances."